Washington, D.C. | June 17, 2018 — Kellogg Hansen partner Kevin Huff and associate Kylie Kim will present at the Energy & Mineral Law Foundation (EMLF) 39th Annual Institute on Tuesday June 19 at 11:15AM. In their presentation, "When the Trains Don't Come: Suing the Railroad," they will cover how railway operating companies can harm energy companies by failing to employ a sufficient number of trains, providing slow train service, or demanding unreasonable rates. These actions can damage the business of energy companies by (among other things) delaying their production, slowing their service to customers, causing them to breach supply contracts with customers, and forcing them to pay demurrage and other late charges. This presentation will explain how, although current legal standards are railroad-friendly, energy companies have potential claims against the railroad under federal, contract, and tort law. For example, energy companies can sue railway operating companies for failing to provide adequate and reasonable rail service in violation of 49 U.S.C. §§ 11101(a) and 11121, failing to charge reasonable tariff rates in violation of 49 U.S.C. § 10701, failing to provide adequate service under the parties’ contract and under quasi-contractual doctrines, and tortiously harming the energy company’s reputation and business with false statements about who is to blame for delayed or missed shipments. Kevin Huff specializes in complex commercial and business litigation in state and federal courts throughout the United States. 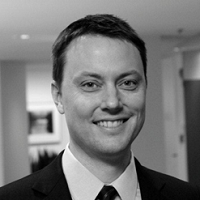 He has served as lead trial counsel in high-stakes, high-profile trials. He represents both plaintiffs and defendants in litigating cases involving business fraud and unfair trade practices, disputes arising out of business negotiations and investments, contract disputes, disputes between borrowers and lenders, creditor and debtor law, partnership disputes, accounting fraud and malpractice, securities fraud, fiduciary duty and Delaware corporate law, shareholder challenges to corporate transactions, and intellectual property. 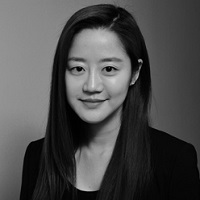 Kylie Kim represents clients in complex commercial litigation at both the trial and appellate levels. Ms. Kim has particular experience in antitrust, telecommunications, and False Claims Act cases. Prior to joining the firm, she served as a law clerk to the Honorable Charles R. Wilson on the U.S. Court of Appeals for the Eleventh Circuit and to the Honorable Steven D. Merryday on the U.S. District Court for the Middle District of Florida.